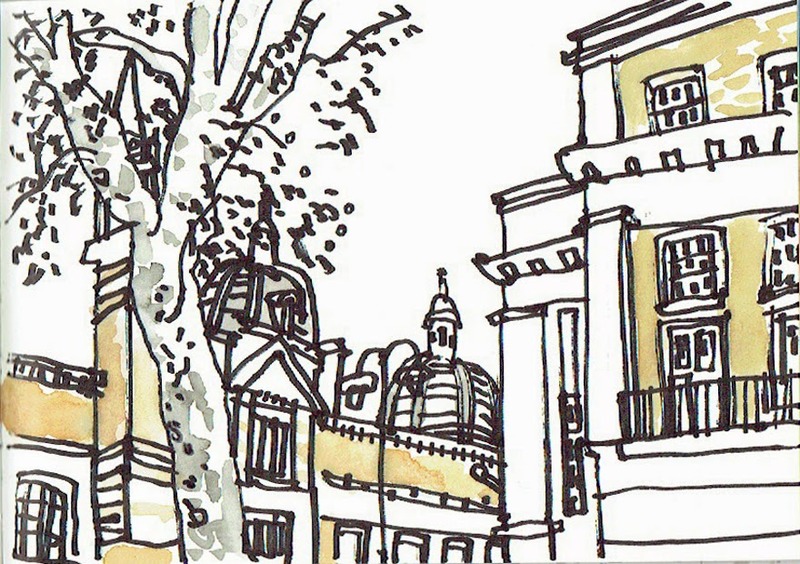 London's Urban Sketchers met up to draw in and around the Victoria and Albert Museum on Saturday. It was a great turn-out, helped by springlike weather. 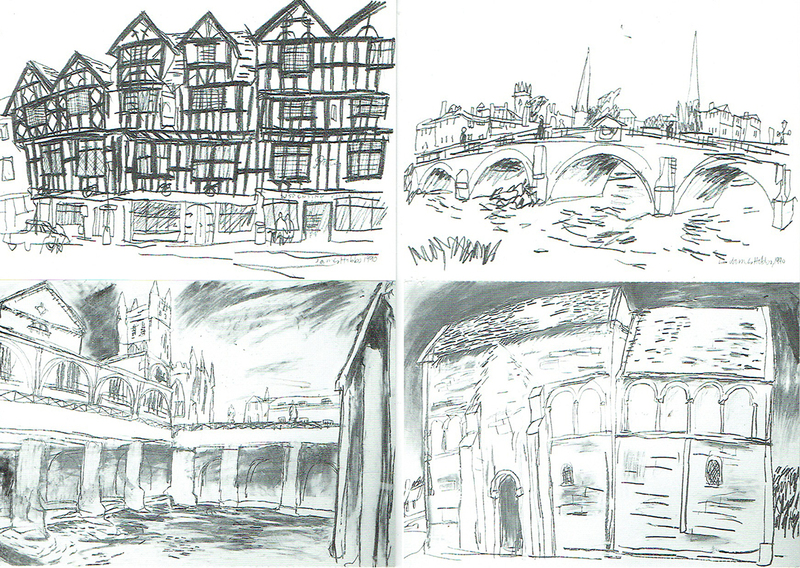 I stayed outside to draw for most of it, around South Kensington tube station (above), and across the road from the museum in Thurloe Square (below). The museum's first director, Henry Cole, lived in the house on its corner. It would have been an easy commute for him in the 19th century – easier than now, when crossing four lanes of speeding, outsized 4x4s and tour buses is required.